We have placed a tailored hole in the center of the cover to fit behind the camera housing. Durable weather resistant vinyl keeps spare tire clean and dry. Stays put with built-in elastic band and Slip-On Installation. Available in many sizes. Please ensure that you match the correct diameter and width before completing your order. Looks awesome on my JL! Super easy to put on and material seems sturdy enough. Very happy with this purchase! Was a gift for my SIL for Christmas. It arrived on time and looks great. Her and I were both very happy! I was looking far and wide for a Jurassic Park Tire Cover for the 2018 Wrangler JL as it has a backup camera installed on the tire mount and I could not find anything with the appropriate cutout. Then I found this and it is totally awesome! I went with the premium material as the Arizona climate can be a bit of a beast on vehicles and I'm glad I did, it looks great and feels very well made. 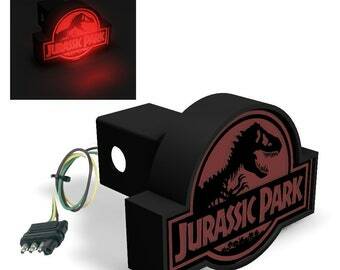 It is the perfect addition for my 25th Anniversary Jurassic Park Jeep! Thank you Dreams2things! You knocked it out of the... Park. Sorry, I can't resist a pun. It’s perfect! Very good quality. For any reasons you are not satisfied, Dreams2things.com accepts returns or exchanges within 14 days after shipment is received. All returns and exchanges are subject to a 20% restocking fee. 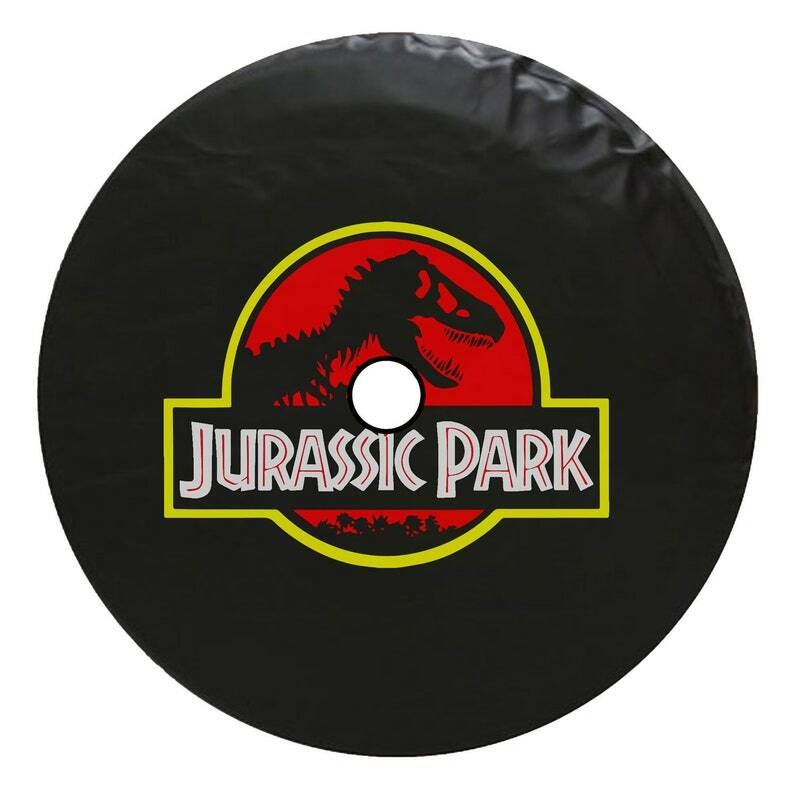 Dreams2things.com does not accept returns or exchanges on any customized or made-to-order (such as tire covers) orders. Also, refunds or exchanges are not available for used, washed, or worn items. Items that are returned that DO NOT meet these requirements will be returned at the customer's expense. Items ship within 7-10 business days.